Downtown Lock Co. (center) has been on 14th Street since 1910. The building has been sold to make way for luxury condominiums along a street that's experiencing rapid redevelopment. The evolution of 14th Street NW continues with regular announcements of new upscale restaurants and residences opening up along the corridor. 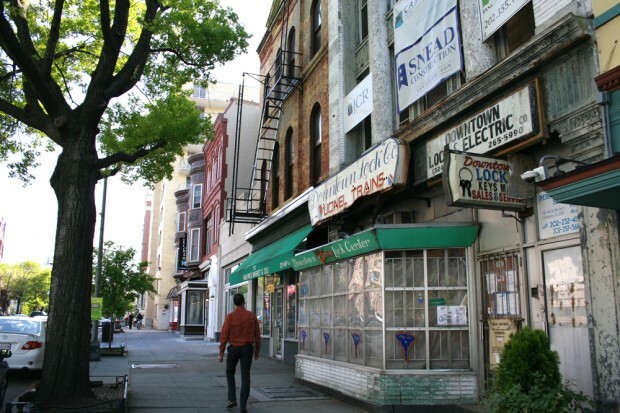 But 14th Street wasn’t always the epicenter of fine dining in the District; in recent decades, it was more well-known as a place where drug dealers and prostitutes congregated. A few older businesses still remain along the strip, but they’re starting to close shop, too. 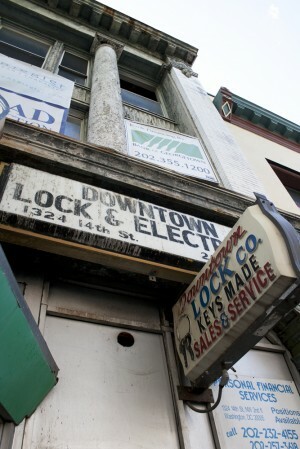 Take Downtown Lock Co. at 1345 14th St. NW, the building sold to make way for five, ultra-luxury condos. Work has already begun to transform Downtown Lock Co. on 14th Street NW into luxury condos. Downtown Lock Co. started as a family business, and had been on 14th Street since 1910. Houchens, 70, is a D.C. native from the H Street NE corridor. He said he grew up in the shop, and recalled how celebrities would stop by from time to time because the locksmith and electronics repair store was one of the few places in the area to be an official service center for Lionel toy trains. Houcheons said senators and people like Johnny Cash and Jerry Lewis would visit during his years working there. Houcheons and his partners bought the business in the 1970s, along with the building at 1345 14th St. NW. This was shortly after the 1968 riots that destroyed more than 1,000 buildings in D.C.
A good investment indeed; Houchens said they bought the building for $37,000, and sold it for $2.5 million. Downtown Lock Co. has temporarily relocated to Hyattsville, Md. where space is cheaper, but most of their business remains in the District.